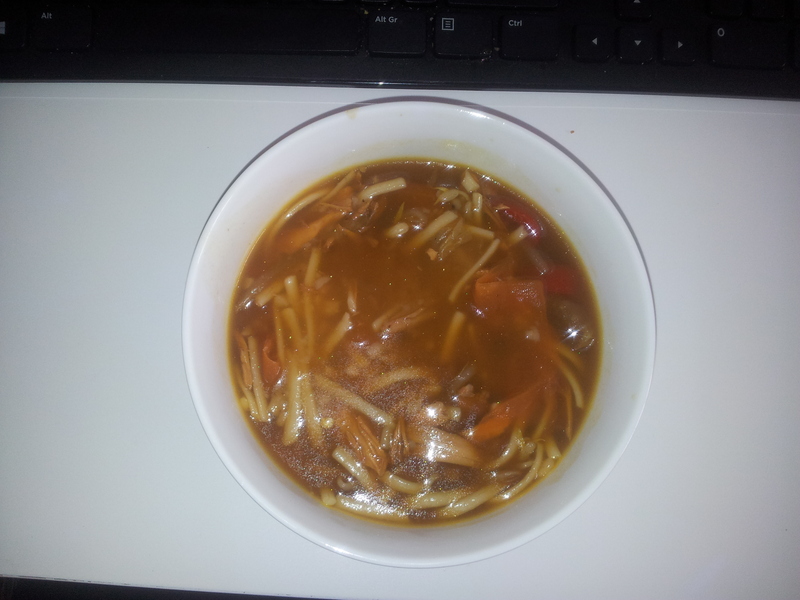 Is it too warm for soup at this time of year? A lot of the time I’m very much inclined to think so, unless we’re talking about gazpacho or similar. But thinking about my warm weather habits when eating out, it occurred to me that Asian-style soups – with their zingy combination of ginger, herbs and limes – are also great when the thermometer’s up. I have two variations on this theme, both of which make a lovely, light, refreshing late supper when it’s warm. Towards the end of the cooking process, add one tablespoon of soy sauce and one tablespoon of mirin or rice vinegar. Pour the hot soup onto a bowl of cooked soba noodles and top with chopped spring onion and sliced radishes.